Ever wondered how many people share your birthday? Andy Kriebel, the self-described “Tableau Zen Master”, recently combined data from the New York Times and blogger, Matt Stiles, to create an interactive chart all about birthdays. The heat map below uses a color spectrum to illustrate just how common each birthday really is. 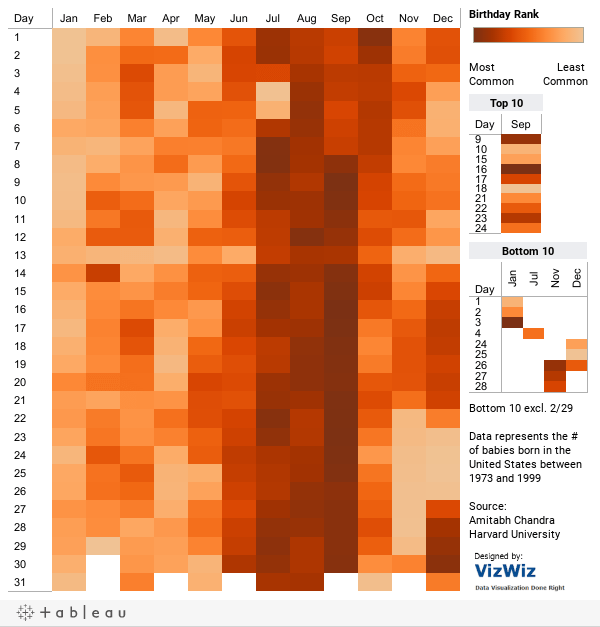 While I was a little disappointed to know that my own birthday in July is not all that rare, I found this chart really interesting and a great example of data visualization. Hope you enjoy!